To say it's been cold the last couple of days would be an understatement. It's been REALLY cold! It's been "my car won't start, I wear my coat all day long, and I avoid going outside at all costs" kind of cold.... but what do you expect on the first day of February in the Midwest? 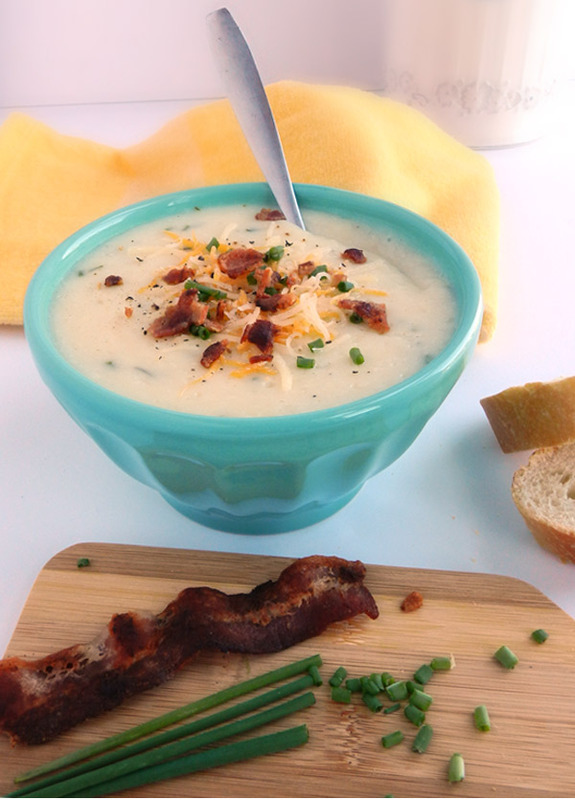 Although winter has proven it's not quite over, there are a few things to look forward to and one of them is soup. 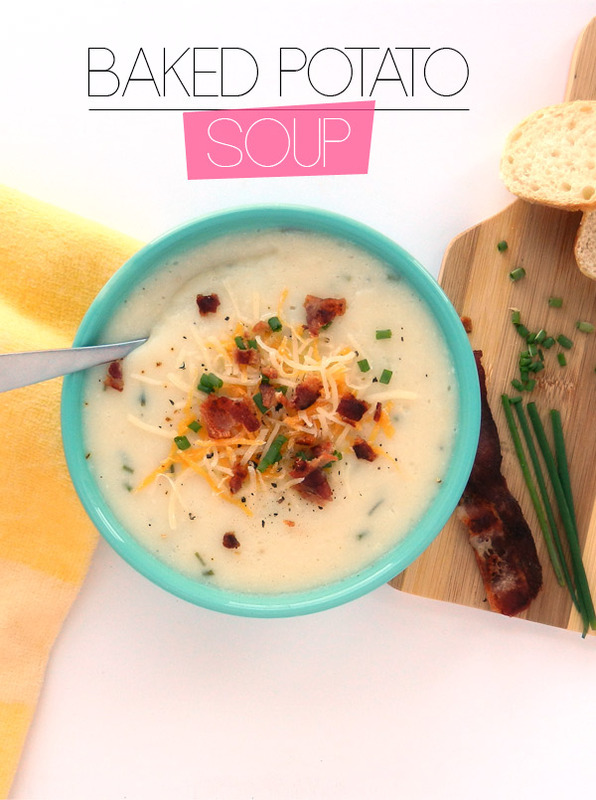 I usually prefer broth-based soups, but I found this "skinny" version of baked potato soup and thought I'd give it a try. Perfect for game-day weekend, you won't even notice that this soup happens to be a lighter version and it will have you forgetting about the less than ideal temperatures outside.